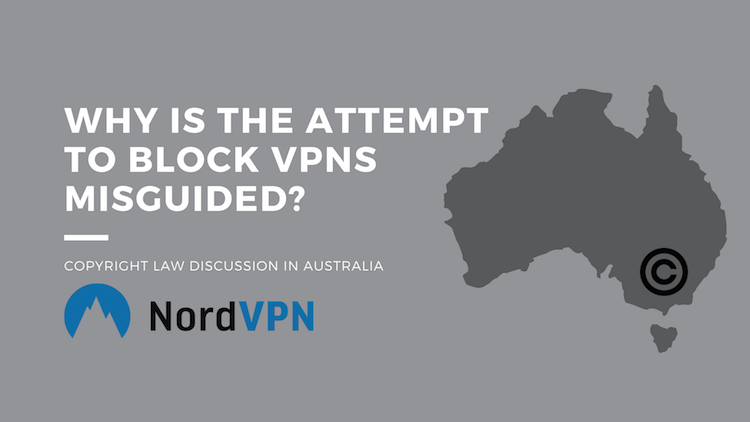 Some NordVPN Australian Clients have expressed worry about a possible VPN ban in their country. The bill reviewing an option to ban VPNs as part of copyright law in Australia is currently under review by Australian Senate. Although highly unlikely, it is still worth talking about the possible scenario, that a modern country like Australia, could opt to block VPN services, used by over half a million Australian residents. Right out of the gate, we’d like to assure existing NordVPN customers, who already use and have downloaded our applications on their devices, that they will be able to continue using NordVPN service even if our webpage was banned, or Australian servers compromised. In a scenario where VPN services were blocked, accessing VPN provider websites might become near impossible. However China is a good example of how the GreatFirewall is still no obstacle for over 96 million VPN and Proxy service users accessing content (see chart), although they too have ‘banned’ VPNs. There are many savvy users who will find a way around ‘the censorship of the internet’, but the average Australian internet user might have less of a chance for both internet security and online freedom – an unfortunate side effect to the possible VPN ban. Let’s break down the elements and stakeholders in the Australian discussion to ban the VPNs and then, we’ll try to point out some of the implications to Australian Internet Users. Australians rank high on both usability and connectivity to the internet charts. Australians use an average of 8 internet connected devices in a household. Individually they are right on global trend with the number of mobile devices used (Over 3 Devices used by an average Australian – global average being 3.34). Australia is also a well connected economic hub in the Asia Pacific region, with many expats residing and using internet services and using VPN service to connect to services back home. Data Retention Law was recently passed in Australia, where Internet Service Providers (ISPs) are mandated to log their user metadata for at least 2 years and can be asked to reveal information to the government at any time. This has spurred a large influx in VPN purchases in Australia. The argued benefit of data retention laws is the protection of the population against potential cyber terrorism related threats. Belief that inward monitoring of resident data can help track and identify threats is however subject to quite a bit of criticism from the international online security expert community. NSA (US national security agency) is also considering policies (CISA, PCNA) that include data retention among other surveillance tactics. The trend toward paternally oriented policies is on the rise and the sentiment to ‘protecting people against themselves’ is relevant in discussion about VPN use. Netflix– recently WiKiLeaks revealed that Sony Pictures were pressuring Netflix to impose geo-blocking restrictions to users accessing content through VPNs. Upon arrival to Australia, Netflix disappointed many Australian users, who pay one of the highest premiums to access the service, discovering they will not have access to a full Netflix library. This encouraged many to get a VPN service to access more content from the US database. Paying for both Netflix and a VPN subscription. Yet Netflix director of corporate communications Cliff Edwards spoke out against VPN use early on, claiming VPNs will ‘become a historical footnote’. With WikiLeaks revelation about Sony’s pressure to enact geo-blocking restrictions- Cliff Edwards’ declaration is not surprising. Netflix is inseparable from the topic of copyright and VPN use in Australia. Dallas Buyers Club– Film company Voltage Pictures responsible for film Dallas Buyers Club, asked Australian Federal Court to force ISPs to go after users who downloaded/ shared the movie, citing copyright violations. They did win this claim and now, over 4000 users are at risk to be penalised. It was just announced that Australian ISPs will have to reveal the said user information by May 6th. The users were identified by tracking IP addresses. Some IP addresses Voltage identified will not lead to a physical internet user, because they used a VPN service (obscuring their online activity). For the claimants in the case- this means financial loss and they too are not to pleased with VPNs. HBO has been in the news quite a bit these past few weeks, chasing viewers of illegally leaked TV show Game of Thrones. Earlier this week, they asked ISPs to send out notices to infringing IP address who streamed/ downloaded or shared the leaked Game of Thrones episodes. Later in the week, HBO announced they would ban access to HBO NOW service to anyone who could not prove they actually reside in the US. All of the above interest groups, hold a clear position against VPNs and have something to gain if they are blocked. Even so, blocking VPNs will not increase paying subscribers or stop the piracy. The issue is not the unwillingness to pay for content, but limited access to the content controlled by the lobby groups. VPNs have so many uses that are in no way related to accessing entertainment, content piracy or hiding one’s identity to do something illegal. Blocking VPNs would hinder the freedoms that internet users deserve. Here’s a shortlist of VPN uses, that everyone should be entitled access to. Online Security– There are cyber criminals that are lurking to compromise and steal peoples personal data. In the ever more connected world of the Internet of Things, stealing peoples data, holding it ransom, or otherwise extorting money for it, is an ever growing concern. Although there are many components to ensuring user data is secure, VPN service is one of the key ingredients. VPNs can protect against ID theft, password theft or behaviour tracking, which all could lead to theft, extortion or blackmail. Unwanted Marketer Gouging– Internet users are often monitored. Their behaviours are tracked and information about their behaviour is valuable data to marketers around the world. Learning peoples behaviours and tastes is good for business. Many internet users would like to obscure their online identity and not partake in involuntary monitoring. Bullying– There is a reason anonymity solutions are on the rise among young adults around the world. Anonymity can give us more freedom in expressing ourselves, allowing us to ‘curate’ our online selves. Anonymity does not mean you are seeking illegal information, but instead the more popular use is protecting yourself: your identity, freedom of expression- all the values democracy holds dear. Internet for Internets sake. Internet freedom is similar to freedom of speech. It has become the primary tool in data delivery, communication, discussion and our news source. The internet is not a utility and should not be treated as such. The beauty of the web is it’s freedom. It would be irresponsible to take away one of the tools that make the internet barrier free. VPN is a tool used by so many internet users to gain access to objective information, facilitating free speech around the world. Expats / Business Use In todays globalised world – people constantly travel for work. VPN solutions let those people stay connected to home networks both for work and personal use. Whether it would be secure access to the bank at home, or access to geo-blocked messenger services to communicate with family- VPN can assist people to stay connected. To summarise, VPN services allow access to services and sites whose primary purpose is not copyright infringement. Therefore, when making the decision about VPN ban, think about the users, who simply want equal rights, freedom to do what they want with those rights and a secure way of doing so. The bill is currently under review by the Senate legal and constitutional affairs legislation committee, with a report due on 13 May.